Vanilla biscuits are exceptionally delicious. 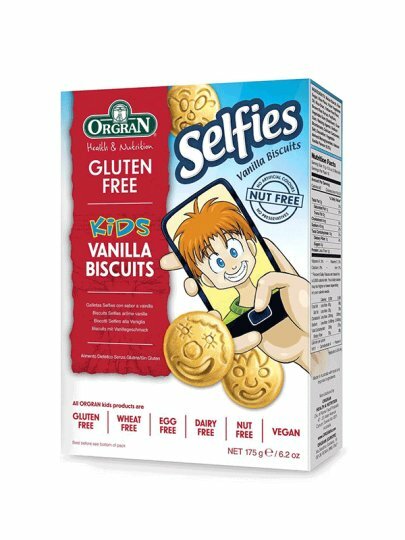 The motifs on them (selfies) are appealing to children. Corn starch, crude sugar, rice flour, palm plant oil, bran of rice, yellow flour pea, brown rice syrup, trputac, vegetable gum (stabilizer), guar gum, raising agent: sodium bicarbonate, calcium carbonate, salt, emulsifier: plant monoglycerides , natural vanilla flavors (0.2%).